Manufacturers are always looking for new and exciting ways to make their wares more enticing to consumers, which is why so many hire food photographers to photograph their product cookbooks. My extensive experience photographing product cookbooks as well as regular cookbooks gives me the ability to help make a manufacturer's products look tempting and inviting. The end result is beautiful images that support greater product sales. 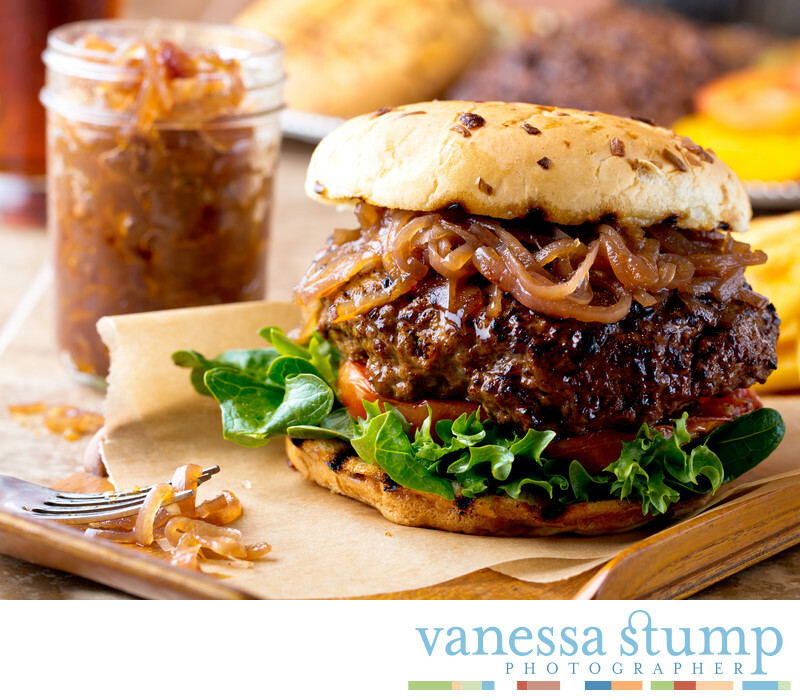 Use of creative food styling, prop position and studio lighting helped make this image of a grilled burger with carmelized onion jam look absolutely delectable.